You are reading page 4 of I'm so embarrassed. If you want to start from the beginning Go to First Page. Time to refocus on the OP's situation. 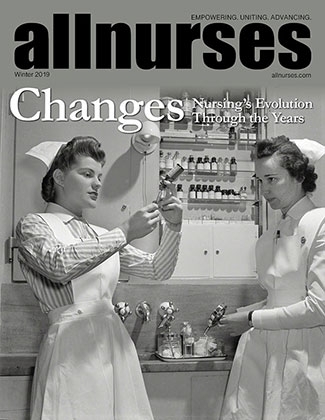 Please, no more mention of "naughty nurses," sexual fantasies or gender stereotyping. Any further posts in this vein are subject to editing or removal. oh yeah? thx for judging the PAST ME. The poster who commented on the statement you made ("he made me give him two baths") was not the "PAST YOU," it was the situation that you described in the original post in the thread, which was a recent happening. On a side note, if you put it out there, it IS going to be judged, good or bad. That's life. "Judging" doesn't have to be a negative thing, it's normal and GOING to happen. That's the risk you run posting on a forum. I believe the OP is a nursing assistant. She did write of just being assigned a clinical location for nursing school.